African National Congress Youth League president, African National Congress NWC member, Chairman of South African Student Congress and the Minister for Public Enterprises. 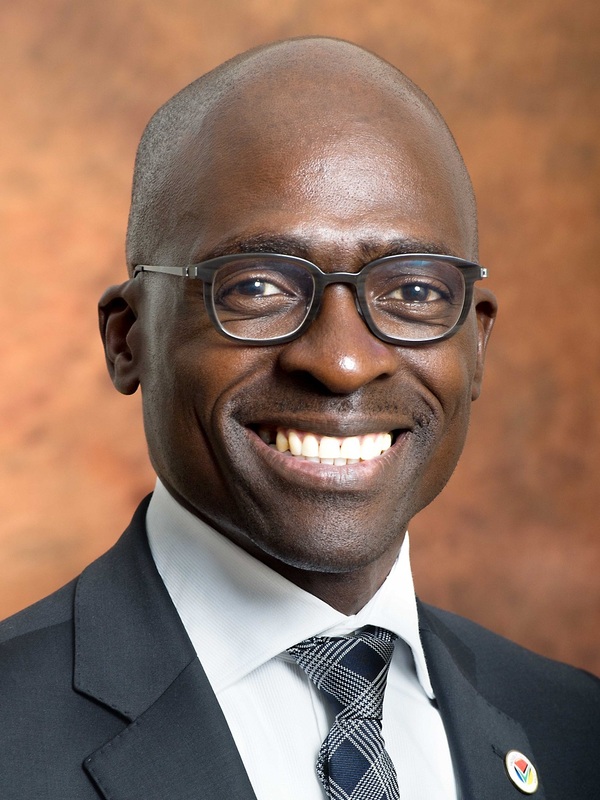 Malusi Nkanyezi Gigaba was born on 30 August 1971 at Eshowe, KwaZulu Natal. Gigaba is the second born to Reverend Jabulani Gigaba and Nomthandazo Gigaba. He has three sisters and a brother. Gigaba did his primary school education at Mathonsi Primary School in Mandeni around 1983. He then proceeded to do his high school education at Vryheid State High School in 1988. During this period Gigaba became involved in various student and youth organisations such as Congress of South African Students (COSAS), the South African Youth Congress (SAYCO), the South African Student Congress (SASCO) and Young Christian Students (YCS). Some of these organisations such as COSAS and SASCO were aligned to the banned African National Congress (ANC). It was his involvement in these organisations that laid the foundation for his activities in the ANC Youth League. When the ANC, Pan Africanist Congress (PAC), South Africa Communist Party (SACP) and other liberation movements were unbanned in 1990, he joined the African National Congress Youth League and the ANC. That same year he completed his Bachelor of Pedagogics at UDW, but continued pursuing a postgraduate degree. Gigaba became one of the founding members of the Education Students Society University of Durban-Westville in 1992. The following year (1993) he was elected as chairman of SASCO at the University Durban-Westville (UDW). Gigaba became the Regional Chairman for the South KwaZulu Natal ANCYL in 1994. He also served as the Provincial Secretary of ANCYL and an ex-officio of the ANC’s Provincial Executive Committee (PEC) between 1994 and 1996. Later in 1996 he was elected as President of the ANCYL. Gigaba became the only president in the history of the ANCYL to be elected three consecutive terms in office (1996, 1998 and 2001). In 1999, he was nominated as a Patron of the Celebrating Youth Awakenings Projects (a project aimed at collecting a South African youth anthology). Between 1999 and 2001, was a Member of Parliament for the ANC and resigned in 2001. In June 2002, the Cuban National University Students Federation awarded him the highest medal awarded to students and youth leaders in Cuba, the Jose' Antonio Echeverrias Medal, at the University of Havana's Aula Matta. In 2004 he was re-elected to Parliament where he became Deputy Minister of Home Affairs until October 2010. On 1 November 2010, he became the Minister of Public Enterprises of the Republic of South Africa. In 2011, Gigaba lashed out at the ANCYL leadership, labelling them as “anarchists” when they called for the nationalisation of the country’s resources. In April 2017 Gigaba was appointed as the minister of finance by President Jacob Zuma in his cabinet reshuffle. Apart from serving as a Minister, Gigaba is a Patron of the Oasis for Hope Hospice in Daveyton, Ekurhuleni. He is also a patron of the Tholulwazi Organisation of Youth which is a Youth Leadership and Life-Skills Programme. Gigaba M, "Land Invasions during political transition: the Wiggins saga in Cato Manor" at The First International Geography Conference, 10th-14th July 1995 at the University of Durban-Westville. Gigaba, M. and Maharaj, B. (1996): "Land invasions during political transition: the Wiggins saga in Cato Manor" in Development Southern Africa, Vol. 13, pp. 217-235.